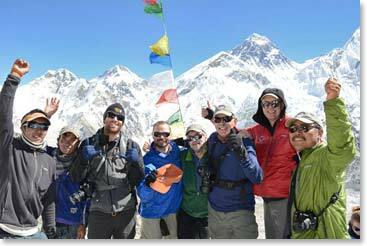 Berg Adventures has concluded another successful trekking and climbing season in Nepal. 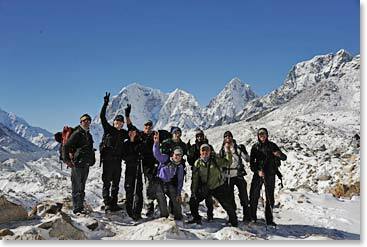 With two trekking teams and a climb of the stunning Lobuche Peak, we were busy! 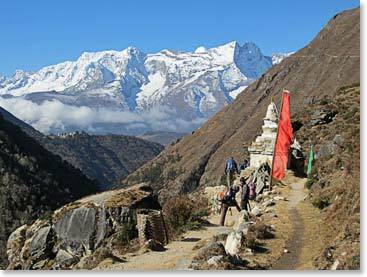 The Khumbu was at its finest; the leaves of the rhododendron trees were beginning to change, the mountains were especially snowy after the monsoon, and our old friends were happy to see us after the quiet summer season. Plus the weather was just right – clear and sunny with a few token rainy (and snowy!) days. Overall, our fall climbers and trekkers had a wonderful time. 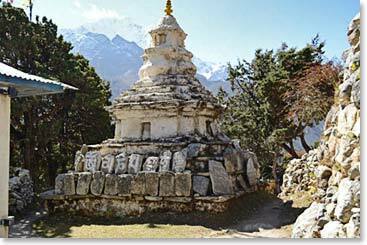 A chorten, or stupa, along the trail to Base Camp. No trip to the Khumbu is complete without a little snow. It is the Himalaya! Everest never ceases to impress. The team strikes a pose. We made it! 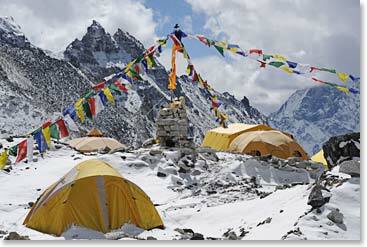 Welcome to Base Camp! 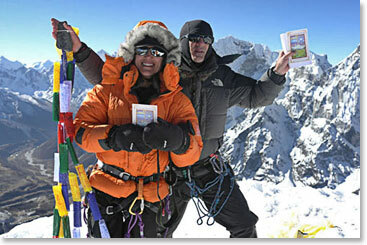 Team members on the summit of Kala Patar with Everest behind them. 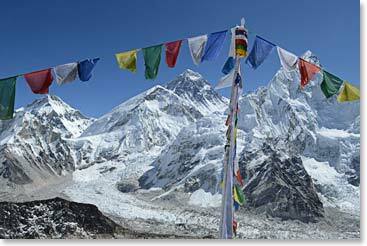 No wonder Kala Patar is a must on every Everest Base Camp Trek – look at that view! 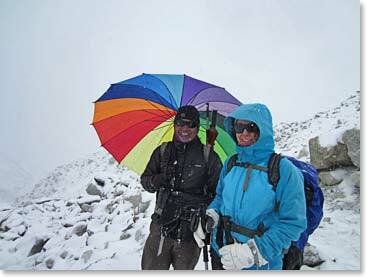 Denio and Raquel stand atop Lobuche Peak. 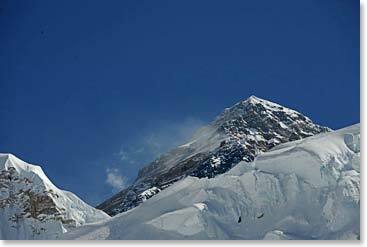 To plan your own Himalayan Adventure whether you wish to trek to Everest Base Camp or to climb one of the many remarkable peaks, visit our website at http://www.bergadventures.com/v3_trips/asia/everest-basecamp-description.php or contact our office at info@bergadventures.com. 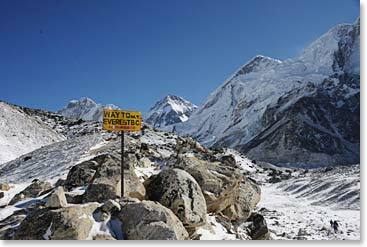 This entry was posted on Wednesday, November 23rd, 2011 at 11:29 pm	and is filed under Everest base camp, Expedition News, Locoche Peak.